To call any billion-dollar company an underdog seems laughable, but over the last couple of years we've seen a handful of big names - let's call them curveballs - rise up against expectations and trounce the competition. Seeing tech companies branch out and find new revenue sources is nothing new, but the wearable and connected-self space, young and flourishing as it is, has presented opportunities for unlikely parties to step in and seize glory. Amazon is one of the most interesting examples right now, having stealthily and gradually positioned itself as king of the smart home. If in 2014 you told me that the e-commerce Goliath would beat Google, Apple and Samsung to the punch I'd have eaten my Kindle. 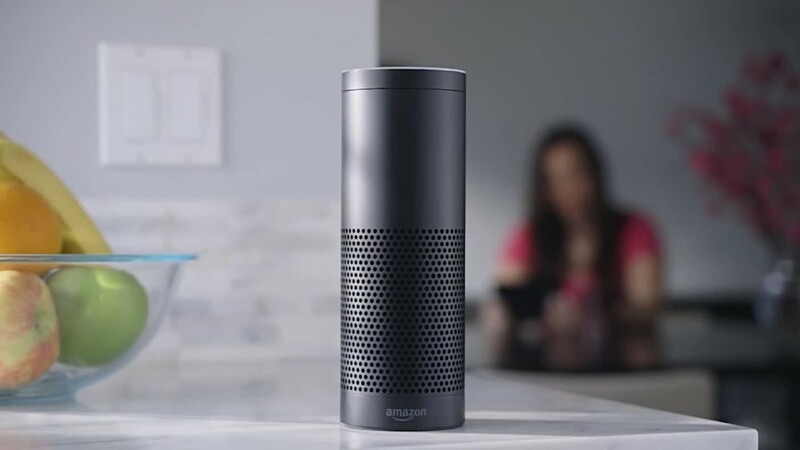 The Echo and Echo Dot, not to mention the wider range of Alexa-powered devices, may have been trojan horses for Amazon's shopfront, but it's all the other tricks that have won us over. Now Alexa is seeping into everything, from fridges to cars to watches, while Google, Apple and Microsoft trail behind. That's not to say this will always be the case. Siri and Google Now/Assistant may be taking longer to win us over, but they have the distinct advantage of already living in our pockets. Which only further begs the question why Google didn't pounce sooner with Home; it's pretty much omnipotent outside of the smart home. Without the existing install base of iOS and Android, built over many years, it's all the more impressive that Amazon still managed to conquer this space. Even if its glorious reign doesn't last forever, you've got to hand it to Bezos and co.
More swift in its rise to power has been the Vive, HTC and Valve's play for virtual reality, which is now arguably the best virtual reality experience money can buy. HTC and Valve changed the VR landscape when they brought Vive to the market, introducing an idea Oculus hadn't confronted: room-scale VR. How did Oculus, the patron saint of virtual reality - a name almost synonymous with VR - drop a ball that appeared to be welded to its hands? Launch delays and shipping screw-ups certainly didn't help, and with Valve beating it to market the damage was probably worse than it would have otherwise been. I've heard stories about the relationship between Oculus and Valve fraying the moment Facebook stepped in and bought the former. Until that point Valve was happy to support Oculus with no plans for a headset of its own. I wonder if the HTC Vive would exist at all today had Zuckerberg not swooped in. Valve's entry may have been a surprise to Oculus, but it certainly amazed us when HTC, known only for making smartphones, announced it was going to make its own VR headset and was teaming up with Valve, which owned the bedrock of PC gaming. But the road for Oculus since has been even bumpier, with the recent revelation that Palmer Luckey was funding a Hilary Clinton smear group probably the biggest snag in the road. The fiasco caused many developers to turn their back on the company and wunderkind Palmer Luckey to stop making public appearances for Oculus. The results of the recent court case with Zenimax, though not financially as detrimental to Facebook and Oculus as it could have been, left another blemish on the company. In the long run it will probably be fine, but all of these things have worked against Oculus, while the Vive has only continued to build its momentum. But like Amazon, there's no reason for HTC to rest on its laurels, and Facebook's play for social VR could mean it takes the long game. Then we have TomTom, king of sat navs, which in 2013 reinvented itself as a sports company and took on the big dogs of running watches. Garmin, Polar et all seemingly had it sewed up, and although TomTom's GPS know-how meant it could hit the ground running, it was still wading into dangerous new waters. It had teamed up with Nike in 2011 for a running watch collaboration, but the TomTom Runner, launched in 2013, saw the company going it alone for the first time. What's surprised us most is how good its products have been and how quickly it's risen up to be one of the leaders in GPS sports watches. I was there at the launch in 2011, and I have to admit that while I knew it was a good device I wasn't confident TomTom would go the miles. But it's run them and then some: almost four years later and the TomTom Spark 3 is, in our opinion, the best GPS running watch you can buy right now. Meanwhile the TomTom Bandit action camera is one of our favourite action cams available. Just think, it wasn't long ago that TomTom was considered on its way out, and now it's keeping GoPro and Garmin well and truly on their toes. Apple is no doubt paying close attention too.